Motorola's president has hit back against Apple, calling the company's prices "outrageous" after Apple's Jony Ive hinted that the Android manufacturer was offering consumers too much choice. "Their value proposition was ‘Make it whatever you want. You can choose whatever color you want.’ And I believe that’s abdicating your responsibility as a designer”. "We do see a real dichotomy in this marketplace, where you've got people like Apple making so much money and charging such outrageous prices. We think that's not the future". Osterloh's belief that "a great smartphone shouldn't be an expensive luxury" is backed up by devices like the Moto E and Moto G, both of which defy their low prices by being high-quality handsets (the Moto G gets our vote for best budget smartphone). 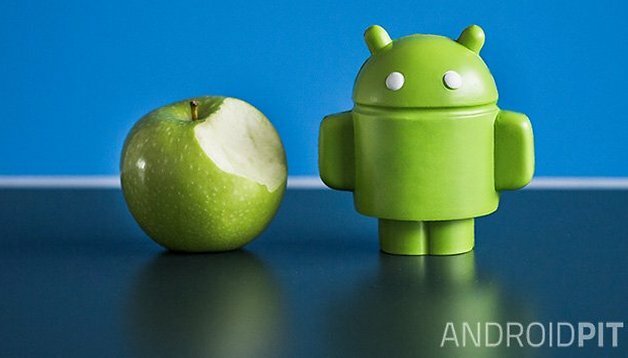 As Android fans, we naturally value having plenty of choice, but is there something to be said for a company like Apple which always offers its customers a high-end product they'll be always familiar and comfortable with? Let us know in the comments below. "Their value proposition was ‘Make it whatever you want. You can choose whatever color you want.’ And I believe that’s abdicating your responsibility as a designer”. - Spoken like a true narcissist. This guy probably loathes iPhone cases as well. Heaven forbid people have more than three color options. Apple has a God complex and I for one am sick of it! Apple wants profits as big as possible on all they sell. Apple iSheep pay the freight. Apple at all costs will get what they want or make you go broke defending yourself in court . Only huge Corp. can defend themselves against false claims. If your the "baby" you get thrown out well before all else. Beware the blood lust of Apple. Moto X makes a lot of noise on the phone market, especially in the US, and well, the new X beats iPhone's design a thousand times. That's prob why Verizon now highlights the Moto X in their stores while iPhone is placed somewhere around the other un-important same old same old stuff. Moto X design is truly innovative, something Apple hasn't been for a long while now. I agree with the dude, the future of smartphones is low prices and customization and Motorola beats everything when it comes to that. I hope they go big! Totally after with Motorola. They are the best.